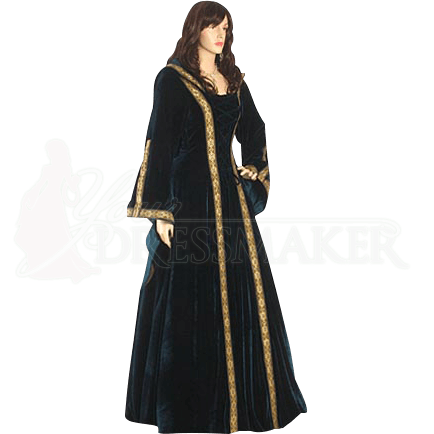 The Elven Princess Dress is made from a very nice dark green velvet fabric with ornamental trim. The Elven Princess Dress is a one piece dress that closes with lace in the back. 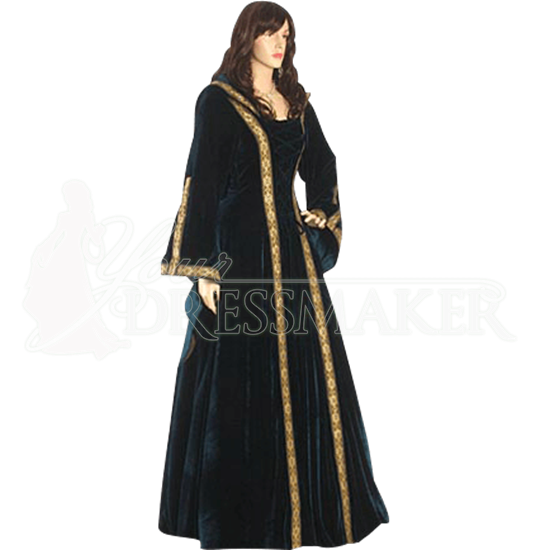 The Elven Princess Dress is great for Medieval Weddings, Renaissance Fairs and Medieval re-enactments. Be the star of your next fair or event with this beautiful Elven Princess Dress.